Carrig Mountain is the 360th highest place in Ireland. Park at the forest road entrance at the Ballinabarney gap S9846089524 A Room for 3 cars. Follow the forestry road, always taking the left hand fork until you reach the end of the road at S9701590064 B . There is a turning circle and you will see a track that leads to a gate and a fence. Go through the gate and turn left up the track keeping the fence on your left until the corner where the fence turns left S9679189791 C . There is a well worn track heading up hill that leads directly to the top of keadeen. It is steep and boggy with signs of quad use. You can either follow to Keadeen and double back or go straight off the path to the fence which leads from Keadeen summit. Follow this fence downhill where you will see old walls which provides shelter. Then you follow the path uphill to the summit cairn. 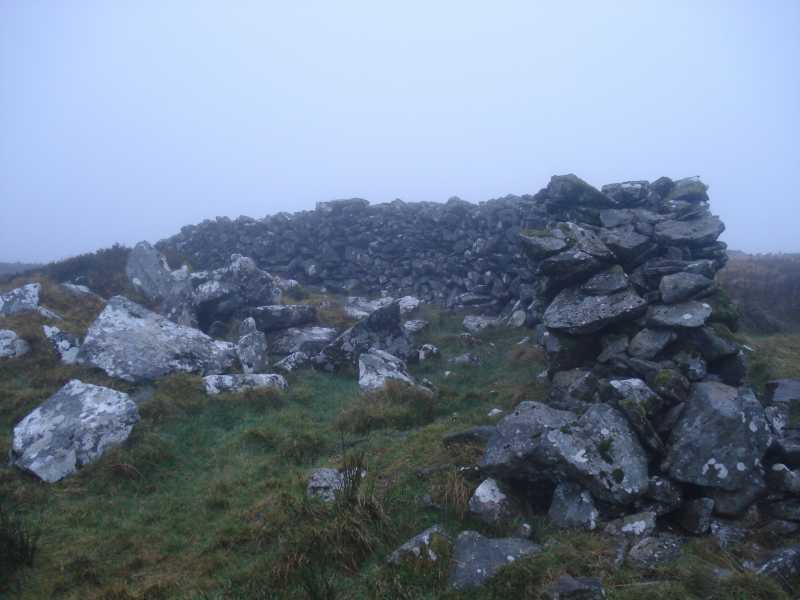 The cairn is not at the actual summit which is a few metres onwards.